You have to feel for Francis Ngannou. 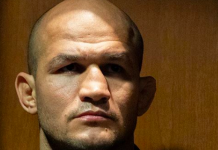 He’s a young beast lighting up the heavyweight division, he just got the biggest opportunity of his life fighting Junior dos Santos, and it was all taken away from him through no fault of his own. He didn’t just sit around feeling bad for himself, he called out Alistair freakin’ Overeem. Unfortunately, even he wasn’t available to fight Ngannou. Looking around the top, there’s no one else. So, why not shoot for the stars? 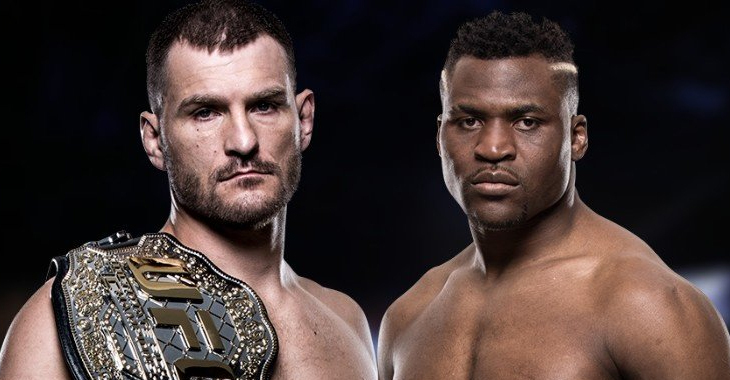 Francis Ngannou just called out the champ, Stipe Miocic. “This was almost the last gate for me to get the real thing. I think if I beat Junior [dos Santos], they would just give me the title shot right there. There’s no way I don’t get title shot after I fight Junior. […] Yes, honestly I think [I’m next in line]. Overeem already fought Stipe, but he has injury, because they called him to fight me, but he’s injured. 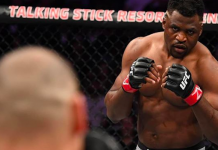 Right now, I think I’m the only contender who is open now to do the title fight and that is what I then asked for.” — Francis Ngannou speaking to Aaron Bronsteter of TSN. Now that’s a fight! 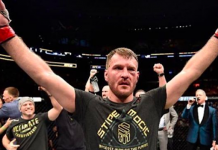 Stipe Miocic is in a similar boat, with Cain Velasquez’s health always being a rollercoaster ride and a possible superfight with Jon Jones now off the table. 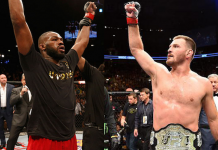 He currently doesn’t have an opponent for UFC 216 and Francis Ngannou wants to jump the line due to the circumstances and fight the baddest man on the planet. That would certainly bring huge interest into the pay-per-view in Detroit that hasn’t been mentioned at all besides the interim UFC lightweight title fight between Tony Ferguson and Kevin Lee. This article first appeared on BJPenn.com on 8/26/2017.